I’ve been on a bit of a Tudors kick lately. I gobbled up Season One of The Tudors last week and moved swiftly on to Season Two. And as if that wasn’t enough, I’ve also been reading Margaret Irwin’s Young Bess — mostly because I love Irwin’s weird stories so much, I had to see what her historical fiction is like — and have to say, if you like historical fiction set in the Tudor/Elizabethan era, Irwin is the author for you. 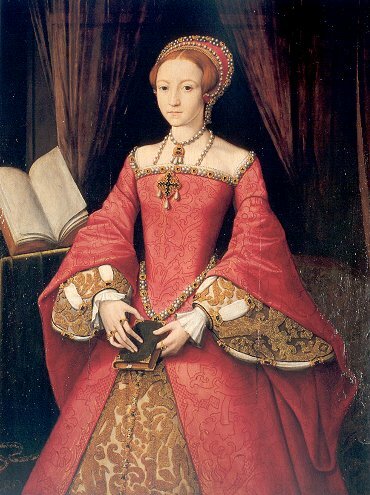 Tags: margaret irwin, queen elizabeth I, roger ascham, writing, young bess. Bookmark the permalink. Previous post ← Interzone reviews Bluegrass Symphony! This I HAVE to read Lisa!!! Roger Ascham’s advice re: “… good style knew no tricks” is brilliant, I reckon. Thanks for sharing.